▸ What conditions qualify you for an exchange? ▸ Who is responsible for covering the shipping costs of the exchange? ▸ What are the delivery - specifics in case of an exchange? ▸ Why hasn't the exchange order been dispatched? ▸ Can you change or cancel an order? 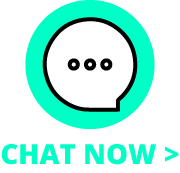 ▸ What conditions can stop you from making a successful exchange? If the delivered product is not the product that you ordered. If the problem you’re facing is due to an error in the product’s manufacturing. If the size, color or model, of the delivered product, are different from what was ordered. For an exchange, both the packaging and the product must be in perfect condition. 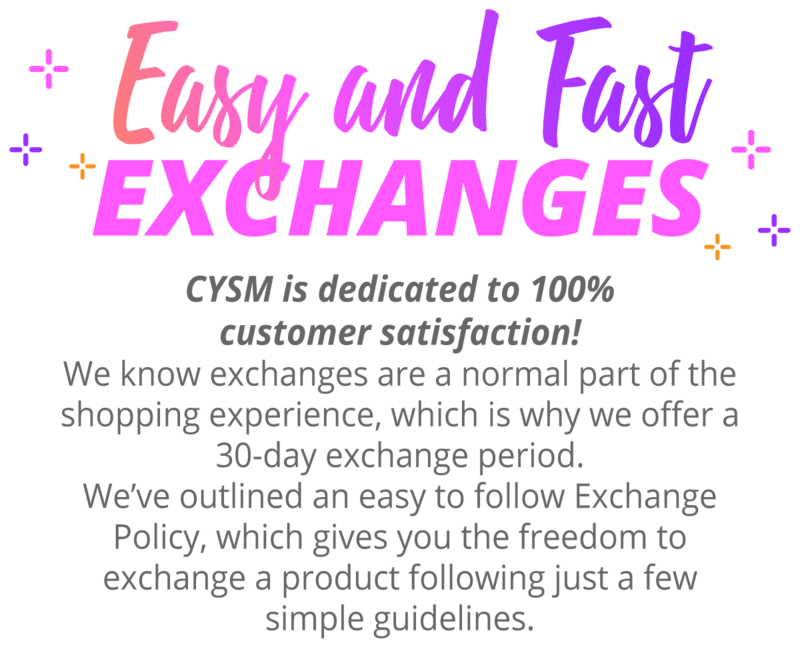 If the exchange is requested within the 30 day period following the purchase of the product, following all the indications of the Exchange Policy. WHAT CONDITIONS QUALIFY YOU FOR AN EXCHANGE? • If the delivered product is not the product that you ordered. • If the problem you’re facing is due to an error in the product’s manufacturing. • If the size, color or model, of the delivered product, are different from what was ordered. packaging and the product must be in perfect condition. 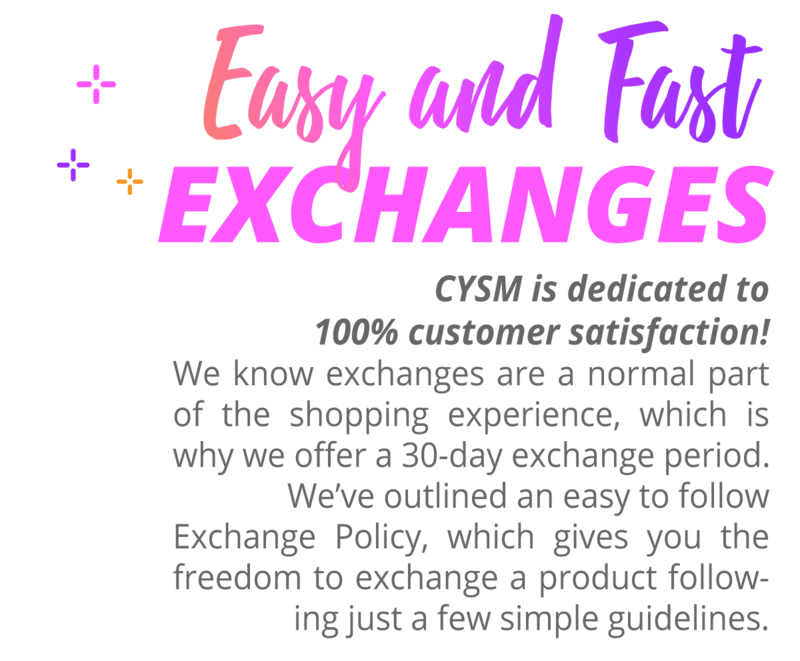 • If the exchange is requested within the 30 day period following the purchase of the product, following all the indications of the Exchange Policy. If the product shows signs of being used. If the product is damaged as a result of trying out the garment (piercing the fabric with fingernails, rings or other similar objects). If the interior of the garment shows signs of being worn without undergarment (stains). For hygienic reasons, we cannot accept returns or exchanges. If you no longer have the original packaging or if the packaging is damaged. • If the product shows signs of being used. • If the product is damaged as a result of trying out the garment (piercing the fabric with fingernails, rings or other similar objects). • If the interior of the garment shows signs of being worn without undergarment (stains). For hygienic reasons, we cannot accept returns or exchanges. • If you no longer have the original packaging or if the packaging is damaged. • If the product includes two or more pieces and any of they are missing. THE SHIPPING COSTS OF THE EXCHANGE? The company is not responsible for errors made by the client when providing shipping information. For international shipping, the client will have to cover extra fees. The company is not responsible for delays in delivery time or extra fees that other countries might apply. The cost of shipping changes depending on the weight and volume of the package, and the destination where the package is being shipped to. • The company is not responsible for errors made by the client when providing shipping information. For international shipping, the client will have to cover extra fees. • The company is not responsible for delays in delivery time or extra fees that other countries might apply. • The cost of shipping changes depending on the weight and volume of the package, and the destination where the package is being shipped to. IN CASE OF AN EXCHANGE? The dispatch of the order will be done on the same day that the exchange is approved. The company has delivery time estimates for each state. These time periods range between 2 and 5 working days, depending on the state where the package has to be delivered. For special deliveries, when the client wishes faster delivery, the extra charges will be covered by the client. All orders will be paid using debit or credit card, or in cash when the order is delivered by COD (Cash On Delivery). If the package sent by COD is not returned to us, and the client is at fault, these costs will be covered by the client. done on the same day that the exchange is approved. • The company has delivery time estimates for each state. These time periods range between 2 and 5 working days, depending on the state where the package has to be delivered. • For special deliveries, when the client wishes faster delivery, the extra charges will be covered by the client. • All orders will be paid using debit or credit card, or in cash when the order is delivered by COD (Cash On Delivery). If the package sent by COD is not returned to us, and the client is at fault, these costs will be covered by the client. 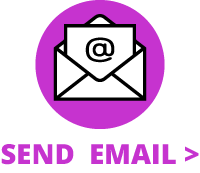 You will always be notified of the reason why your order has not been shipped, by e-mail or telephone! If your credit card was not approved. If the product is not available. We reserve this right, to not fulfill exchanges, in case of exchanges and returns that don’t meet the conditions of this Exchange Policy. • You will always be notified of the reason why your order has not been shipped, by e-mail or telephone! • If your credit card was not approved. • If the product is not available. • If the address provided by the client doesn't exist or it is not valid. • If the client asks for products regularly, in order to justify returns. CAN YOU CHANGE OR CANCEL AN ORDER? Yes! You can cancel or change an order at any time by e-mail, telephone or fax, as long as the product has not been shipped yet. Once the product has been shipped, no changes or order cancellations are possible.